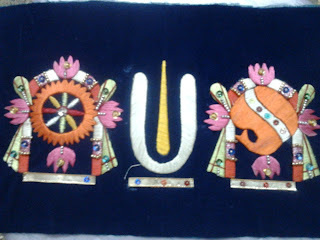 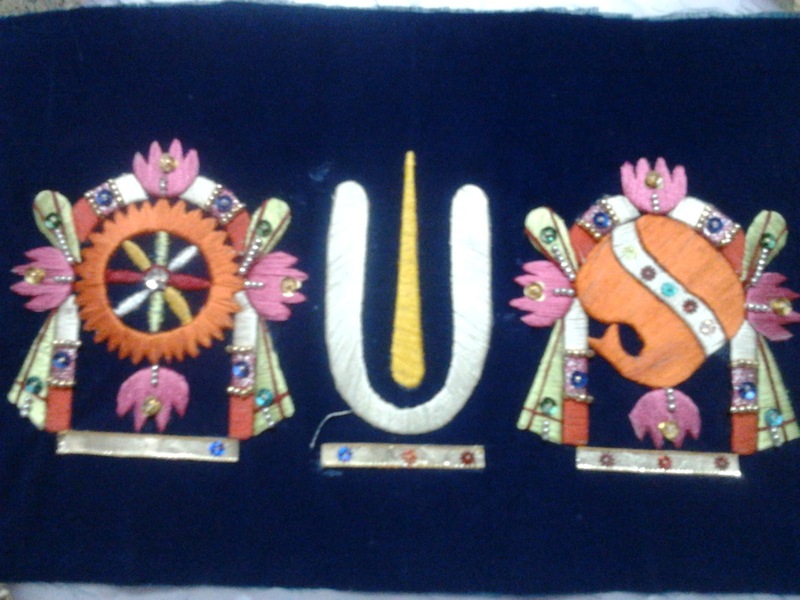 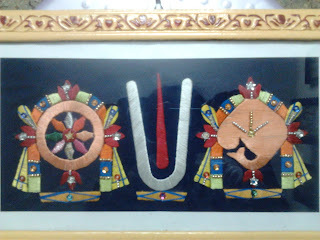 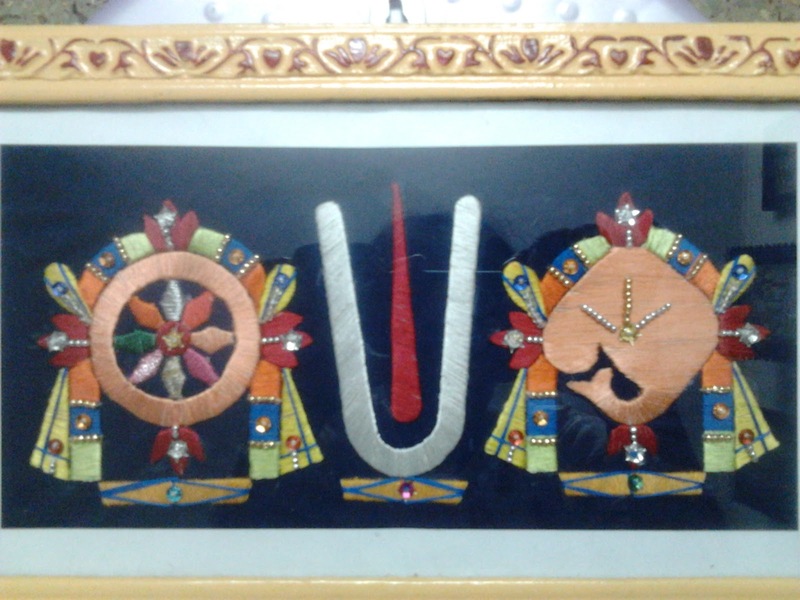 The sangu chakra wall hanging was embroidered on felt cloth with silk threads. 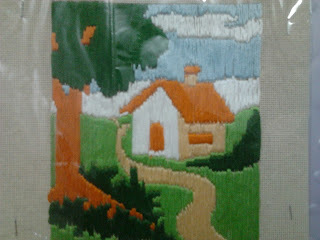 I cut the designs on carton boxes (like beverage, soap, toothpaste packings) and used it as base. 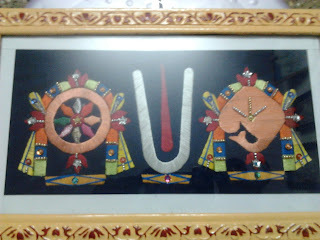 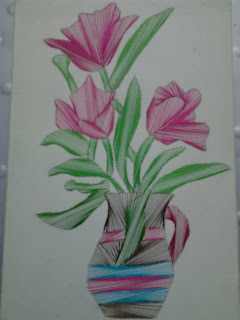 This art, was learnt by me from Smt Rajalakshmi. 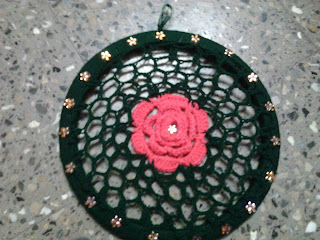 This is one of the big hits of my hand works. 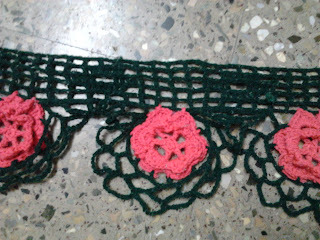 Green house: Anchor stitch kid wall hanging. Paper embroidery: I pricked holes on chart paper according to the design and embroidered with silk thread. 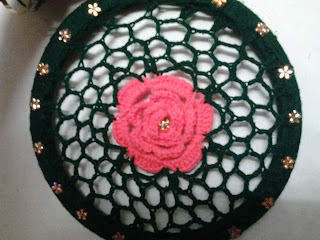 Crochet wall hanging: I used the old Pressure cooker gascut for frame, crocheted with pink and green woolen thread. I stick flower kundan stones around the circle. 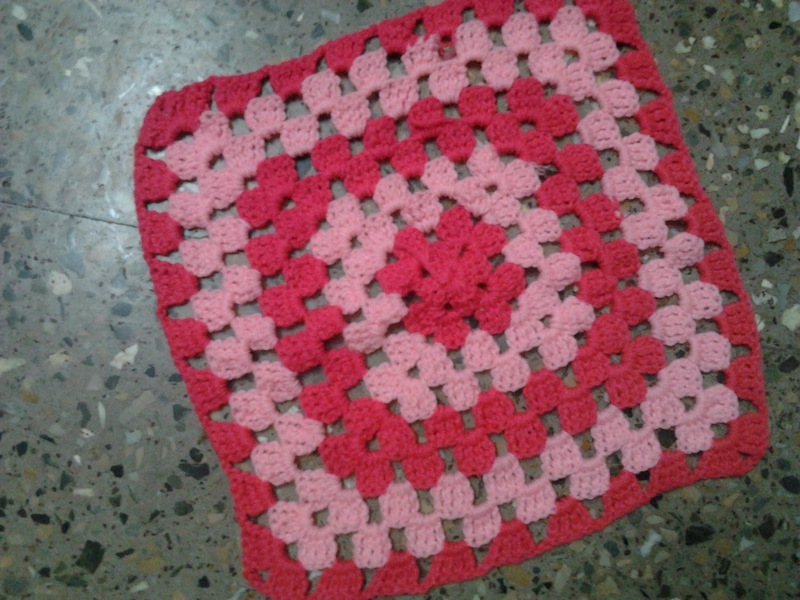 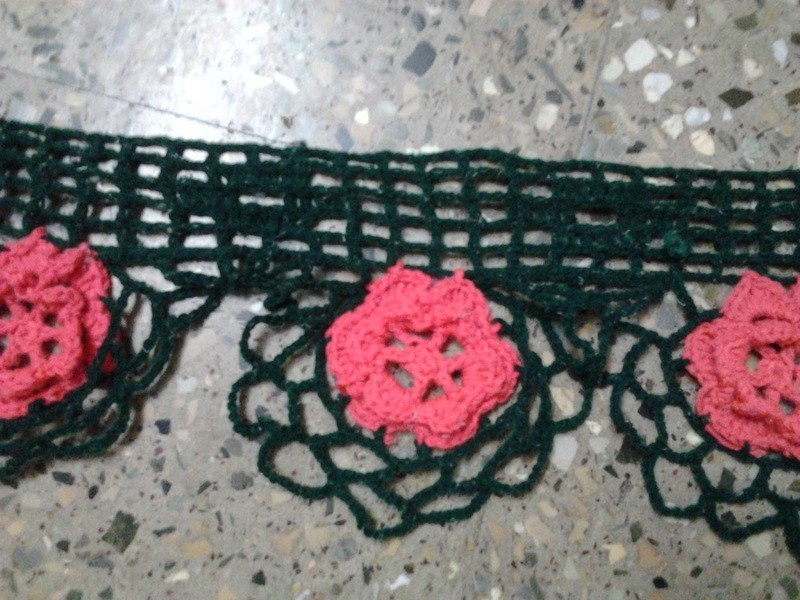 Crochet thoran: crocheted with green and pink woolen thread. 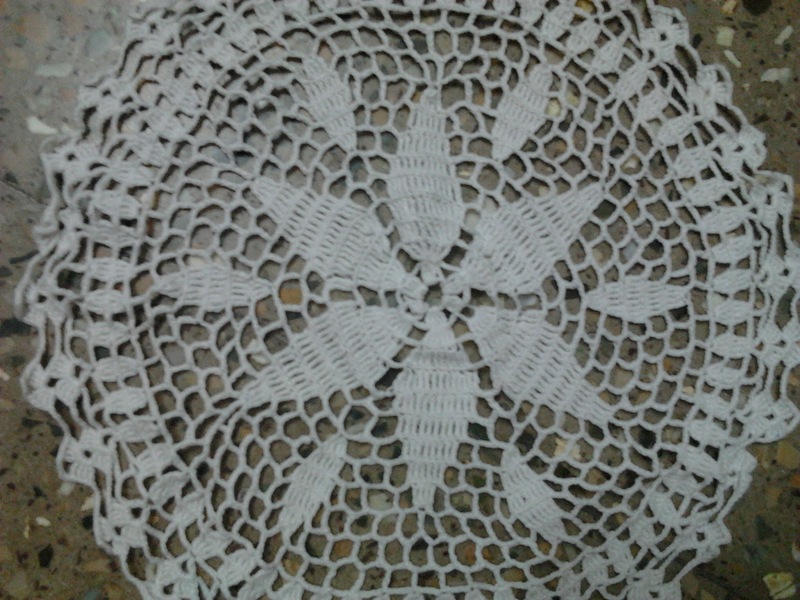 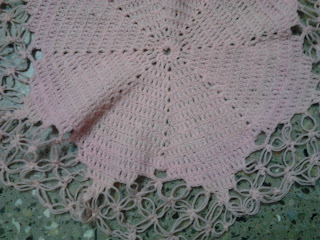 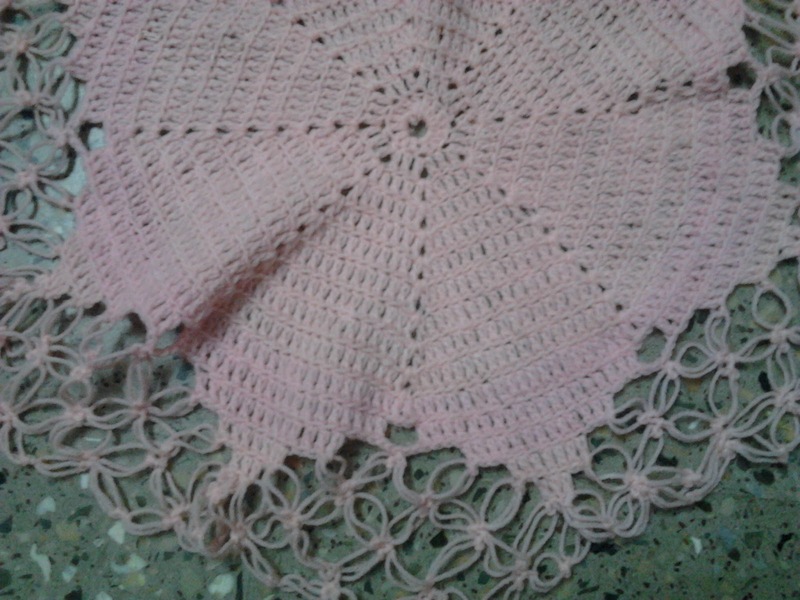 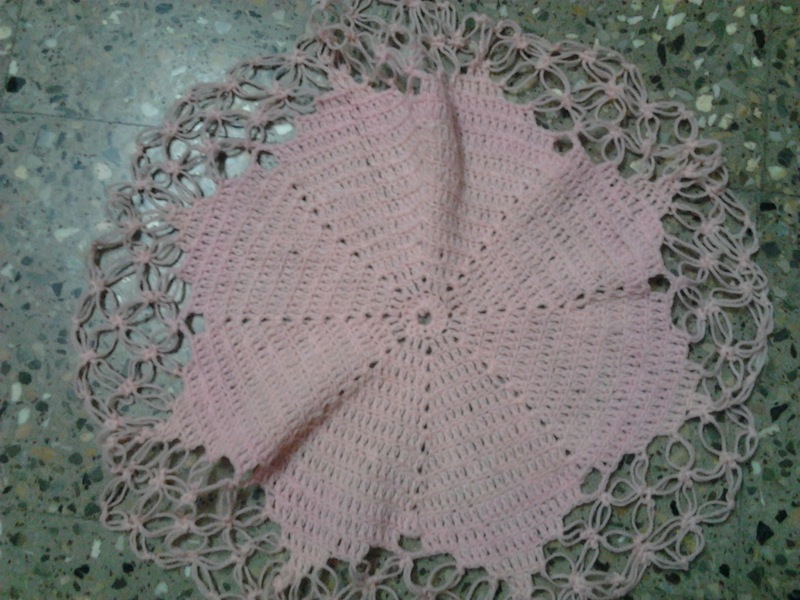 Crochet doily: crocheted with mercer crochet cotton thread. 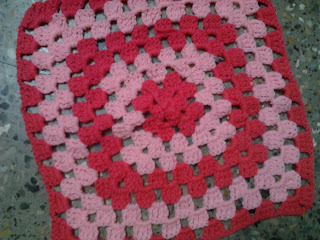 Wall hanging with pressure cooker gascut is looking good. 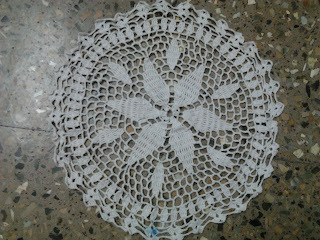 Can u give me the stitches used. 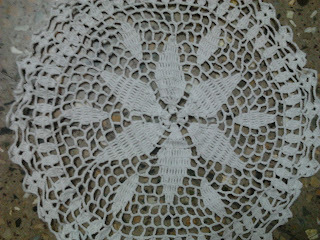 All other crafts r also looking good and beautiful. 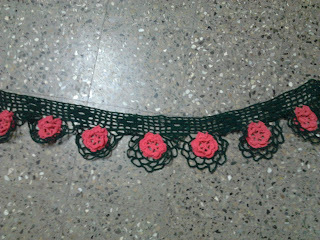 I crocheted chain scallops around the crochet rose and attached it with the gascut. Before i attached it, I wrapped the gascut with woolen.